I generally check the weather using Weatherunderground. It’s reasonably reliable and its name carries a certain wisp of nostalgia for me. I started doing it in earnest a few years ago, when my then 10-year-old daughter started asking me every morning so she would know how to dress for school. Today, before I left the house, it was raining so I made sure to read the special weather statement and learn what was going on. It seems the remnants of Hurricane Blanca are bringing a fair amount of instability and a substantial possibility of rain and thunderstorms, including cloud-to-ground lightning. The time of day when the odds for precipitation are the greatest coincides with the time I’ll be leaving work for home. So . . . since it was already in my car from the last time (which, amazingly enough, wasn’t all that long ago) I used it, I carried my umbrella into the building with me. 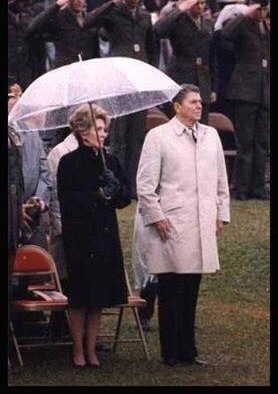 I noticed others didn’t have umbrellas and, in fact, there seems to be a direct correlation between age and the use of an umbrella. 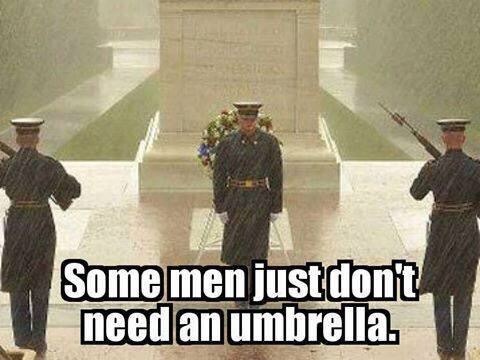 Then, as I thought of it, I remembered there is generally a stigma associated with men and umbrellas, esp. young, virile men and . . . well . . . no umbrellas. As proof, I offer the following article from last fall, as well as these two pictures, which I believe represent the most vulnerable – with respect to securing their manliness – among us. This entry was posted on Tuesday, June 9th, 2015 at 9:42 am	and posted in Professional. You can follow any responses to this entry through the RSS 2.0 feed.